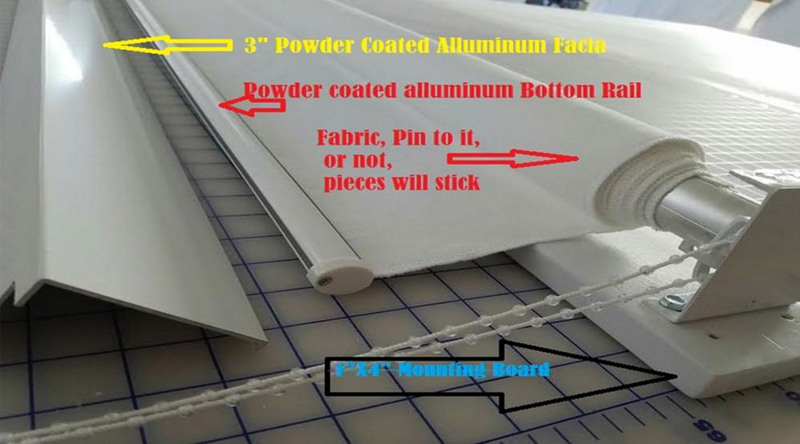 Design walls come completely assembled and are made with only high-quality roller shade parts. We offer two sizes, #1 The Regular and #2 The Jumbo. Nice durable powder coated finish on the Aluminum Facia, and the Bottom Bar. 100% cotton High loft Flannel on front with a smooth back, allowing pieces to be rolled efficiently out of sight. Mounted on a nice finished pre-drilled and painted 1" x 4", allowing you to mount them over closet doors if no wall space is available. The fabric has a high loft flannel on the front with a smooth back allowing you to roll up the design Wall with your pieces on it. As you make your blocks you will need to pin them onto the Design Wall. DO NOT ROLL UP WITH PINS ON IT. They can get caught in the roller. 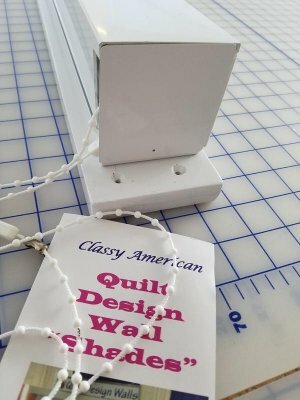 The Design Wall will help you become a better quilter as you will be able to stand back and see your quilt before you sew it together, allowing you perfect placement & design.